Designed and manufactured in Britain by Knox, the Fastback is fitted with Knox Extreme Short Back Armour that finishes at the waist, so it fits neatly under a leather jacket and is also comfortable to wear with textile riding suits. 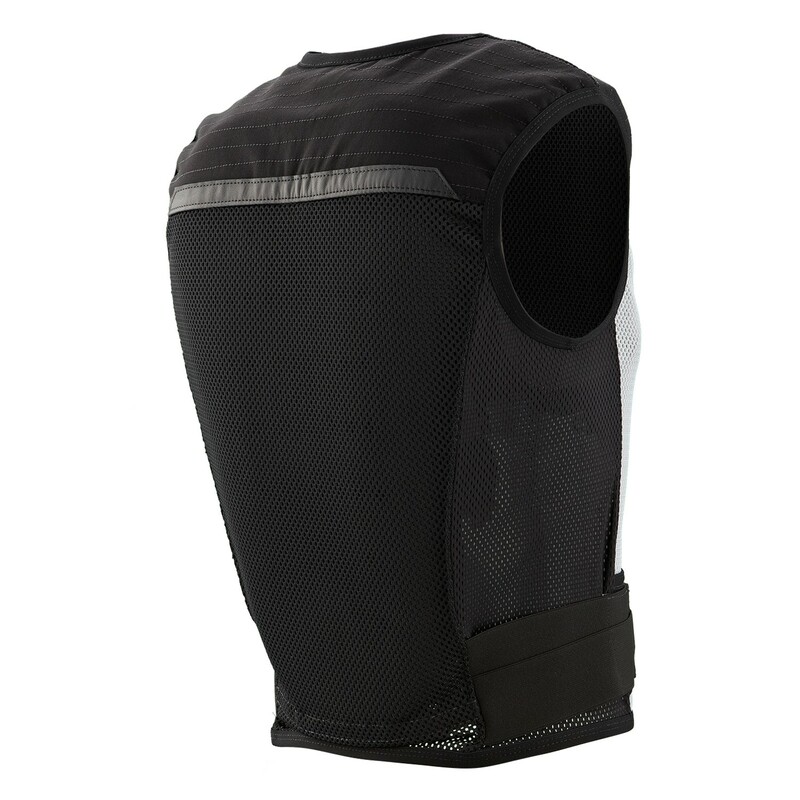 The lightweight back protector is CE approved to EN1621-2 Level 2 and provides additional coverage over the scapula (shoulder blade) area. Featuring a strong sport mesh construction, which is elastic and breathable, the Fastback is instantly comfortable and allows riders to zip up and go, making it convenient for commuters and tourers alike. Raised channels and vents in the back protector help to keep the wearer cool and avoid the build up of perspiration on clothes. 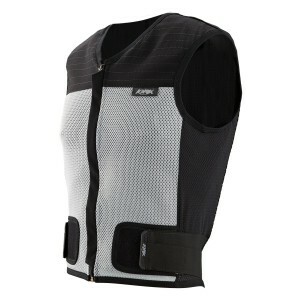 Soft elastic side straps hold the back protector in place and provide additional support to the wearer and an optional CE-approved chest protector can be attached to a Velcro tab on the chest. When it’s time to freshen up the Fastback, simply remove the back protector before machine washing. Produced in five sizes (S- XXL) in Black/Grey, the Knox Fastback retails for £89.99 (including VAT) and the optional Chest Guard upgrade costs £19.99. All Knox back protectors come with a 5-year service life, which is a similar lifespan to top of the range helmets, and not something that all protection brands offer. For more information call Knox on 01900 825 825 or visit www.knox-armour.co.uk. 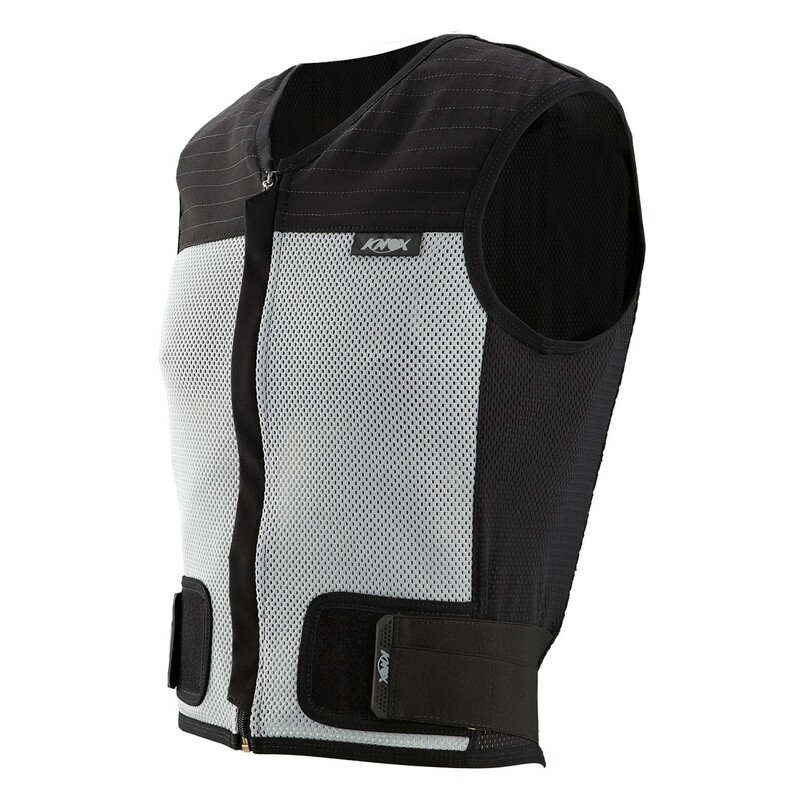 Good value and less obtrusive than a conventional back protector, you can wear it instead of a t-shirt and it’ll help keep you cool during the warmer (UK not applicable!) riding days. Comfortable to wear during long journeys. Optional chest guard upgrade is a useful addition and a nice feature. With a 5-year service life included in the £89.99 retail price it comes highly recommended from us.